Satellite Broadcast Receivers Application TV receiver equipment and accessories, Satellite communications, two-ways CATV: direct connect or star configuration. 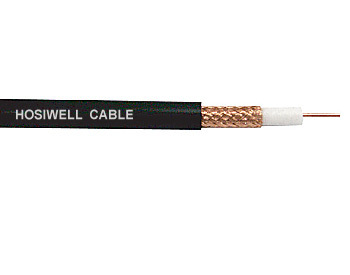 ข้อกำหนด คุณลักษณะของสินค้า (Specification): 75 Ohm Gas Injection Foamed PE Series Standard Construction: Solid annealed copper conductor, Gas Injection Foamed polyethylene insulation, double side aluminum foil 100% coverage and tinned copper shield 95% coverage. 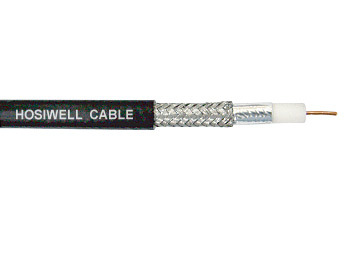 Product Description Conductor : No/mm (AWG) : 1/1.5 Mtrl. : BC Insulation : O.D. (mm. ): 7.3 Mtrl. : Gas Injection Foam PE Shield : 100% AI Foil+95% TC Braid Jacket : O.D. (mm. ): 10.2 Mtrl. : PVC Nom. Capa. (Ω): 75 Nom. Capa. (pF/m. ): 56 Satellite Broadcast Receivers Application TV receiver equipment and accessories, Satellite communications, two-ways CATV: direct connect or star configuration.